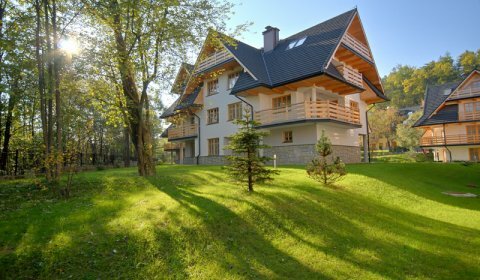 Bellamonte is a tranquil, comfortable and luxurious hotel facility situated in a peaceful area near the center of Zakopane, less than 0.2 miles from Krupówki Street. 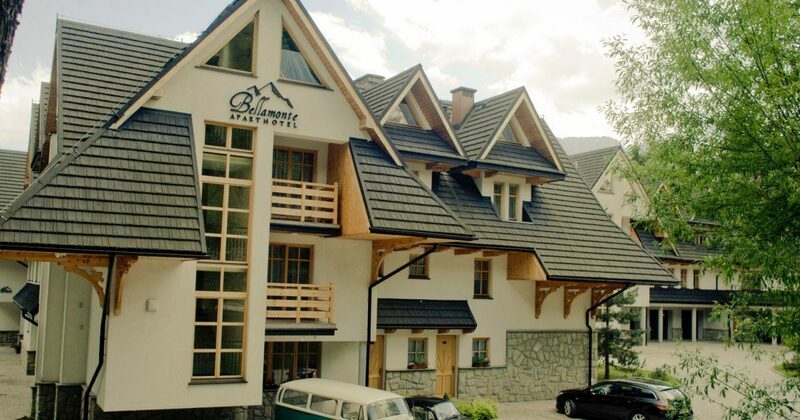 furthermore, we offer assistance in organizing: transport (to and from the airport, to ski runs and thermal baths), trips, guided mountain trekking, regional suppers, sleigh rides. We cooperate with ski instructors and massage therapists. This reservation can be cancelled without costs until 2 days before arrival. In such case the amount paid will be refunded within 7 days after cancellation was submitted. If cancellation is submitted after this time or guest will not show at all, the property will charge 1 night room price. It is required to provide credit card information or make the payment of 1 night room price to guarantee the reservation.